As much as possible it is Peninsula Dental Care’s aim to save every patient’s teeth. If you think you need a tooth removed, call Peninsula Dental Care on (03) 5981 2255 to make an appointment. If there is too much damage to be repaired, a tooth may need to be extracted. We will try to repair a broken or damaged tooth with a filling, crown or other treatments, but as a last resort the best option may be to remove the affected tooth. 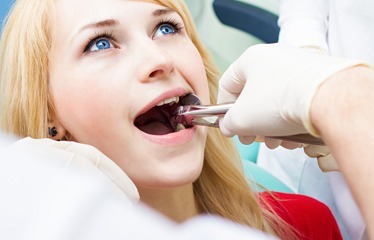 Our highly trained dental professionals with administer a local anesthetic to numb around the affected tooth to ensure the safe extraction procedure is quick and painless. Removal of the tooth should ease the pain and discomfort and prevent serious complications like gum disease, infection and impacted teeth. Patients will receive continuous monitoring and care during and after the procedure for faster recovery. Looking for a dental clinic on the Mornington Peninsula that can determine whether you are in need of a Tooth Extraction? Contact us today on (03) 5981 2255 or book online peninsuladentalcare.com.au for a consult so that we can assess your suitability.